Owning a business can be an exciting prospect, but choosing the correct industry to get into isn’t always the easiest thing to do. Deciding which way to go can be as simple as taking a look around to see what is popular, and what is likely to remain that way in the future. Right now there is a definite fashion trend is a big hit with people of all ages, and that is custom printed t shirts. It seems as though everyone has at least one t shirt that bears a funny slogan, a cool image, or a combination of both. All of those options are great if someone is starting a custom printed t shirts company. It’s one thing to know that there is a demand, but it’s quite another to know where to begin when starting the business. The best way to get going is to come up with a few custom t shirt designs that incorporate a funny slogan or two. If someone at the company is good with graphics, even better. If not, graphic artists are everywhere. Everyone seems to know someone to team up with. Look at different printing companies that can do a test pressing of designs to get an idea of how they will sell. A good idea for starting a custom t shirt printing business is to try to selling them at local arts and crafts shows in the area.. There really isn’t a need to make a huge test pressing, and it is possible to get started with as little as 6 dozen shirts, which should be more than enough to get the word out, as well as finding out how much people are willing to pay for the custom t shirts. It is not important to have a background in graphic design to get started with a custom t shirt business, but it will definitely help in getting work out to the masses without having to pay someone else to do the designs. If you choose to take it to the next level, it might be a good idea to invest in a good ecommerce site, especially if expanding the business beyond a local level. This is pretty inexpensive to do by using free ecommerce software paired with a wordpress site. Creating a few different designs for the test shirts will also mean that there will be something to show on the website, but to fully take advantage of this business opportunity, make sure that potential customers have the ability to fully customize the designs by choosing the color that they like for their custom t shirts, and perhaps even allowing them to add their own slogans to your original designs. There are a whole slew of custom t shirt companies out there, which just goes to show how big the market has become. The way to set the business apart from the rest is to use your unique skills to come up with custom t shirt designs that are completely different from everything else out there. Do the research on the market and see where the fit can be. 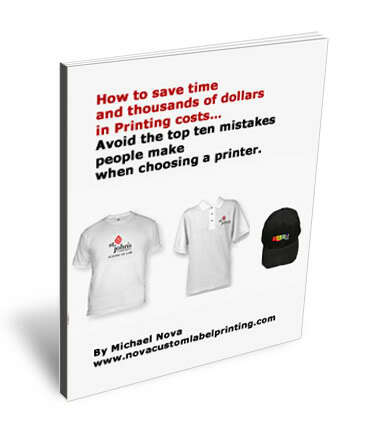 If doing that, then there is a chance at becoming a major player in the custom printed t shirts business.